Your NIE number (the NIE Number is issued on a card, with your full name as written on your passport used for the application process, place of birth, nationality, and the NIE number, along with a stamp and signature provided by the National Police. The easiest way is to do both things at once and apply for registration at the Foreigner’s office. You will be issued a NIE number automatically. It’s highly recommended to arrive before the opening time in order to avoid waiting for hours or go during a less popular time of the day. They only have a certain amount of NIE numbers available per day. You will probably still have to wait quite a few hours in total but it´s the only way it can be done!) Before you receive the final document you will have to pay an administration fee of approximately 10 €. A passport size photo may be required so it is recommendable that you bring one just in case. It is best to have important foreign documents already translated before presenting them to the Ayuntamiento to register. Even though many people here speak English, it is always better to have these documents translated in order to save time. You can also bring a translator along to help with the process if needed. Visit the website niebarcelona.com where you will certainly find an answer for nearly any question regarding the administrative procedure of getting the NIE, including whether or not you need a NIE in order to work in Spain, whether you need a previous appointment in order to obtain the NIE, whether it’s possible to get one without a job contract and whether registration of residence is necessary in order to get the NIE number. The American School of Barcelona is a private coeducational day school serving students from 3-18 years old in the greater Barcelona metropolitan area. ASB offers a university preparatory curriculum which provides its graduates access to American, Spanish and international universities. It is recognized in Spain as a foreign school by the Generalitat of Catalunya and the Spanish Ministry of Education. Also it receives a grant from the US department of State’s Office of Overseas schools. It belongs to the Mediterranean Association of International Schools and European Council of International Schools, whilst also participating in the European Sports Conference which is a regional sports league made up of schools from around the region. Benjamin Franklin International School follows the American and International Baccalaureate curriculums. BFS is a truly international school in Barcelona, with a roughly one-third breakdown among US, International, and Spanish families. Their diverse and engaged student body, faculty, and parent community – which now comprises over 45 nationalities and cultural heritages- is the heart and soul of their school. They believe academic excellence is attainable and worth the effort. BFIS graduates receive offers of acceptance and merit-based scholarships from some of the most prestigious universities in the world. Their teaching approach is based on differentiated instruction and places the student at the center of the learning process. They encourage and support students to be curious, independent learners who pursue their passions and understand the beauty and power of knowledge. Colegio John Talabot is located on C/Escoles Pies 136, Barcelona. It is a school for children from kindergarten level to secondary level and is primarily Catalan although there is a strong influence of English. There are three steps to complete in the admissions process. Firstly you must contact the school by telephone, secondly you will have an interview with the head of department and lastly you will hand in the official request and all necessary documents before the deadline. Collège Ferdinand de Lesseps is located on ran Via de les Corts Catalanes 707. 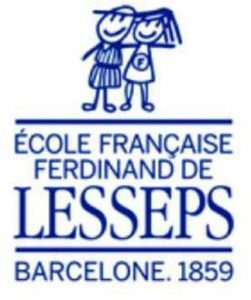 Ferdinand-de-Lesseps is the oldest French school in the Iberic Penninsular. Rich in history, the school is loyal to French education and local and European culture. This is an excellent school to send your children to with an outstanding reputation.